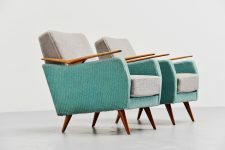 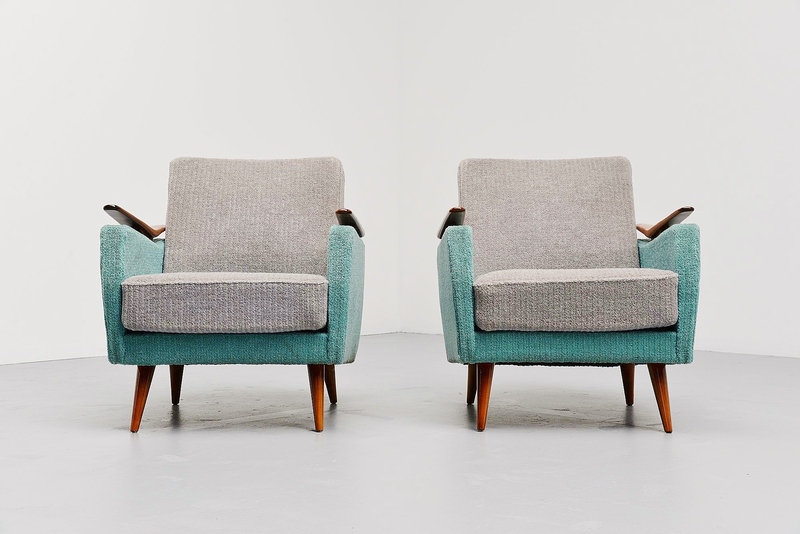 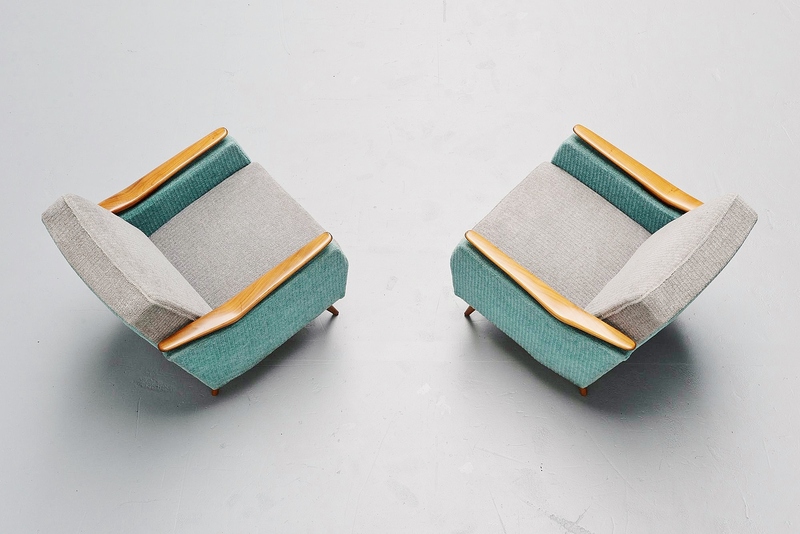 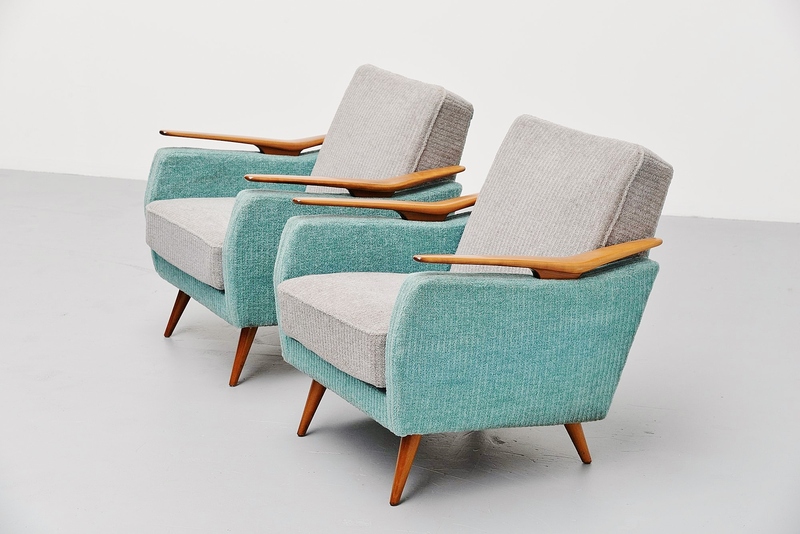 Very nice pair of club chairs in the manner of Gio Ponti, made by unknown manufacturer in Italy 1950. 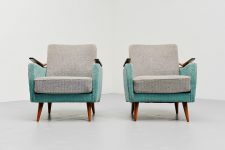 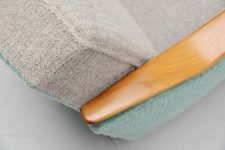 The chairs have original fluffy mint blue and grey fabric which is still in very good condition. 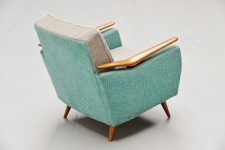 Its nice in contrast with the teak wooden feet and arms. 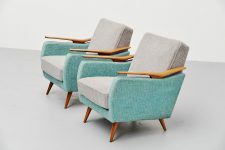 Chairs are in very good original condition and seat very comfortable.